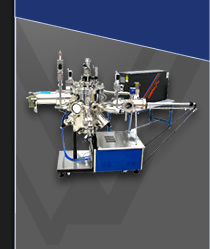 SVTA produces Metal-Organic Chemical Vapor Deposition systems (MO-CVD) for special applications such as UHV MO-CVD systems for nitride or III-V semiconductor deposition. These systems have been specifically developed to satisfy the requirements of high quality growth of materials using gaseous metal organic compounds. The advanced gas handling module provides precision control of high purity gas admitted to the system. A proprietary pressure control algorithm is used to minimize gas transients during growth. Gas line manifolds, gas line exhaust, purge and scrubbing facilities are enclosed within a safety gas cabinet for easy access and maintenance. 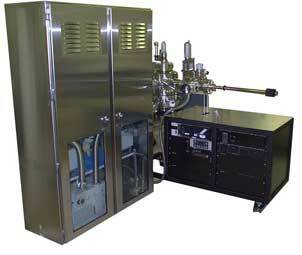 The Metal-Organic Chemical Vapor Deposition system comes standard in either a linear or right angle configuration. SVTA also provides reengineered MO-CVD systems as a cost effective solution.